Tween Tuesday is a weekly meme I started to feature great books for tweens! If you'd like to participate and post your own tween books, put your link in the comments below. If your tweens (and teens) are anything like the ones at my library, they love the Diary of a Wimpy Kid books! Since the success of these books, we've seen a growth in books told in cartoons which is great because my tweens can't get enough of them. Here are some of my favorites to give to Wimpy Kid fans. 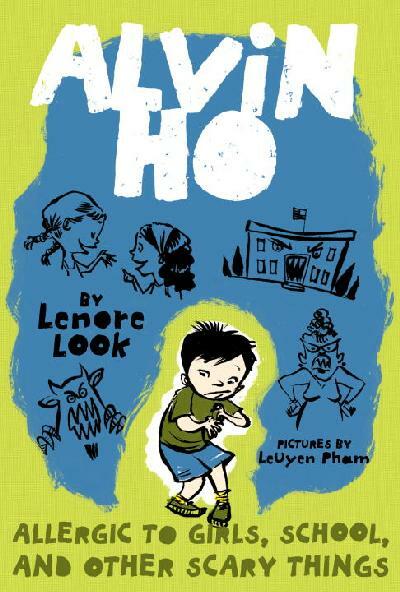 Alvin is younger than Greg Heffley, but I think readers of all ages will have fun reading about him. (my Dad picked up the second book since it was about camping and he loved it!) Alvin is nervous and he has a lot of things he's allergic to-or so he claims. His adventures are lots of fun and they're great picks for young readers wanting something similar to the Wimpy Kid series. 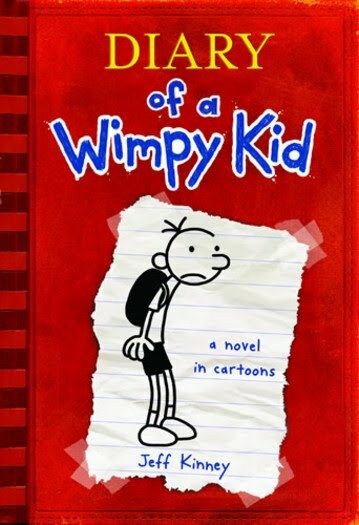 These books are the most like Wimpy Kid and are great to give readers while waiting for the next in the series. Ellie loves to write in her journal. Her parents force her to camping with her cousins and she hates it! 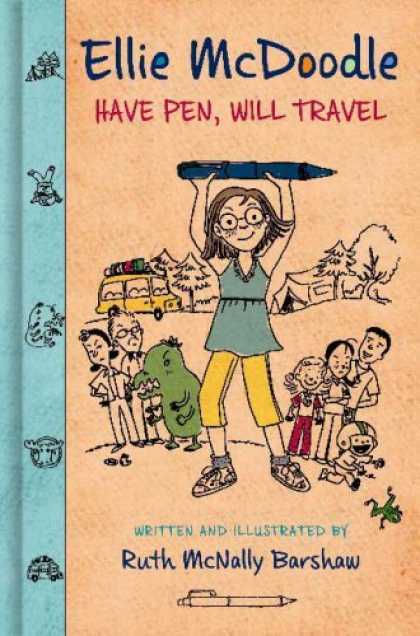 She writes it all down in her journal-but when it goes missing, Ellie starts to wonder if she should have written all the mean things she said. Ellie is very spunky and I loved her. Pair this one with the Allie Finkle series for a fun girl book set. Two boys discover a wormhole in their backyard and travel to a future that has aliens living with humans-and an evil alien janitor. 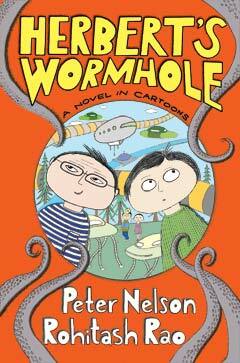 Herbert's Wormhole is a science fiction time travel adventure told in cartoons. I felt like there is more text in this one than in the Wimpy Kid books and it's also much longer. But for readers who love adventure with a splash of cartoons, it' the pefect read. It's also a great read for adults-there's a lot of humor for grown ups too, so I suggest reading this one together with your tween! This is great! While I've been recommending the Alvin Ho series, I didn't know about the other two. There are so many kids I know who are always looking for something to read after they hurry through Diary of a Wimpy Kid. The girl fans of Diary of a Whimpy Kid may also like the Dear Dumb Diary series. 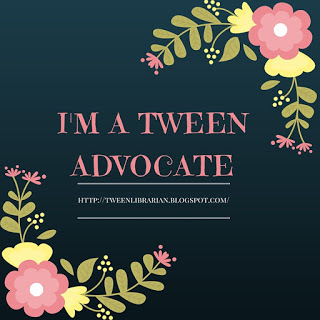 Wow- Tween Tuesday is a great idea! Thanks for the suggestions! Here's my contribution to Tween Tuesday. Also, Herbert's Wormhole looks great. I am getting that from my public library so that I can have it for my son over Christmas! Thanks for the recommendations! My son loved the Wimpy Kid books and just ripped right through them. He also thought that Herbert's Wormhole was good, so I'm going to put Alvin Ho on hold for him at the library. Wimpy Kid and Ellie were born at the same time -- weird that they're so alike. I'll definitely look for those other books too. :) Thanks! Awesome news on the new book Ruth! I always have great success booktalking Ellie-the tweens love the books. I've said it before, but I'll say it again - I'm so glad you to Tween Tuesday. It's good to see some great tween books highlighted along with all the awesome YA books.